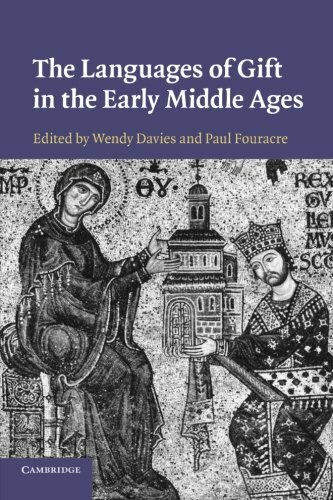 This pioneering volume illuminates the practice of giving, endowing and exchanging gifts in the early Middle Ages, from Anglo-Saxon England to the Islamic world. Focusing especially on the language associated with medieval gift giving, this important new work examines how people visualized and thought about gift giving and, importantly, how they distinguished between the giving of gifts and other social, economic, political and religious exchanges. The authors demonstrate that gift giving was already complex, distinctive and sometimes contentious before the twelfth century and operated within a broad international context. They draw from the sources a deeper understanding of the early Middle Ages by looking at real cases and real people: peasants, the elderly and women, as well as elites. The culture of medieval gift has often been treated as archaic and exotic; this book, by contrast, reveals people going about their lives as individuals in down-to-earth and sometimes familiar ways.